I can’t believe how much has changed in just one year! This time last year we were celebrating Isla Rose’s very first Christmas. I never would have imagined we would have another new baby the very next Christmas, It’s still crazy to think about! (you can see our last year’s card here). 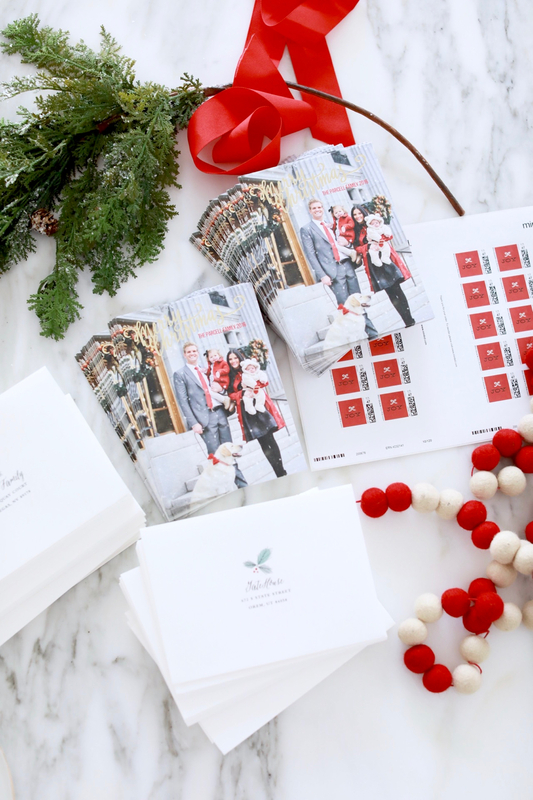 Here are a bunch of pictures from our shoot we did for our 2016 Christmas cards created by Minted! Wishing you all a very Merry Christmas. I love you all and am so grateful for the support and love you continue to show me, my little family and Pink Peonies! I honestly can’t decided which picture I like the best! These are perfect and you all look fantastic! 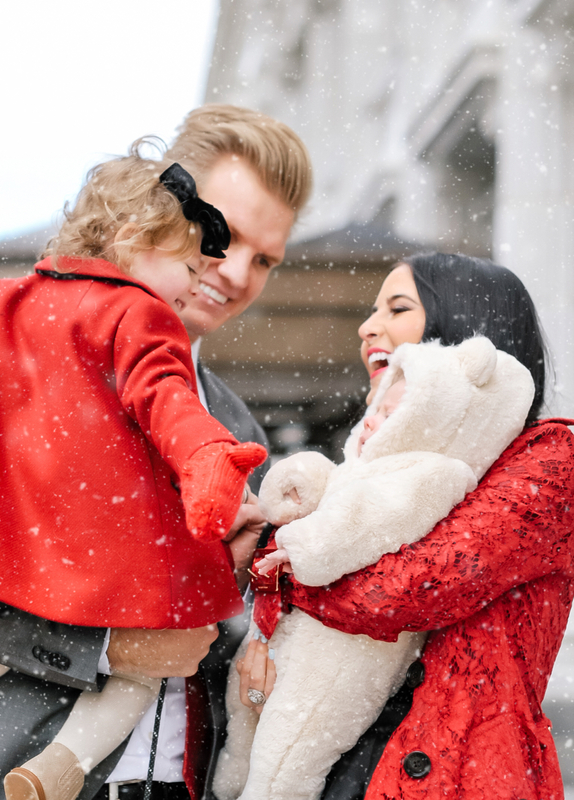 What sweet photos… and how amazing that it snowed for them! 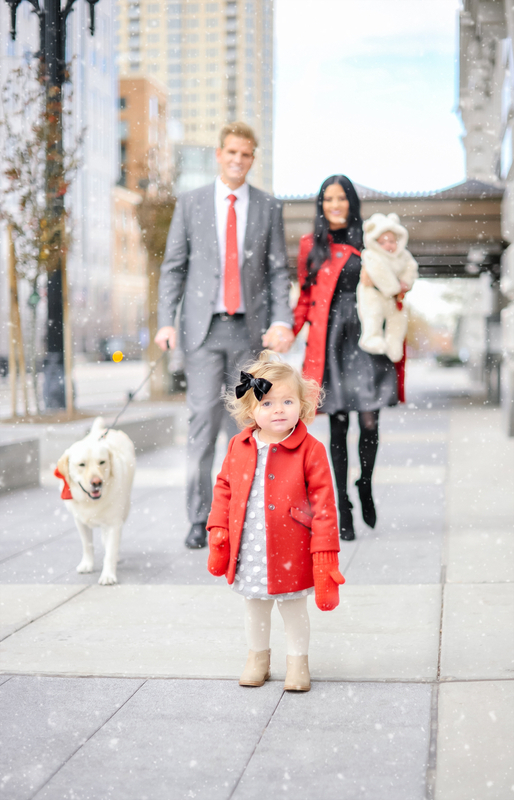 I LOVE the one where you guys are walking behind Isla – she’s just too cute in it! Your cards are just beautiful Rach! l I would love one! I wish you and your family a very Merry Christmas! Thank you Brittany! Hope you had a happy holiday!! 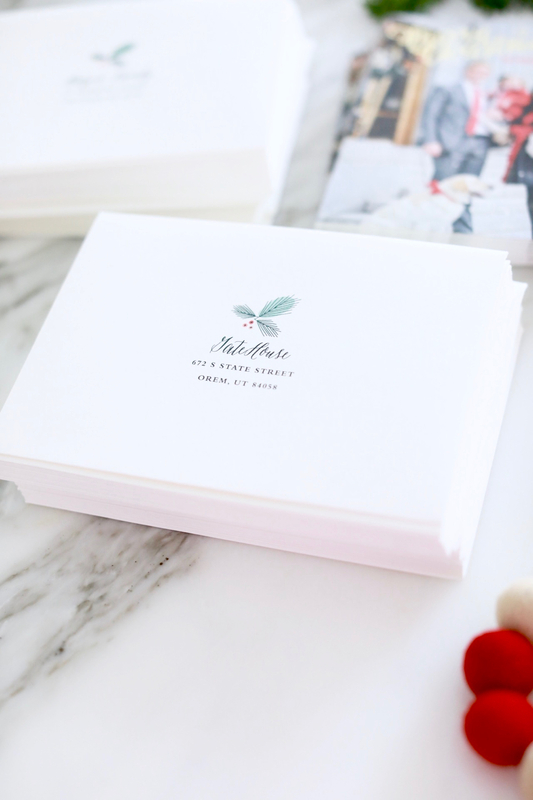 Omg your Christmas cards are absolutely lovely! Merry Christmas to you and your beautiful family!! These are just so pretty. Merry Christmas to you and your family! The picture of Dash is perfection. Beautiful! This should be an advertisement for greeting cards. Was it really snowing or was that “special effects”? Thanks for putting us all in the holiday spirit? Your pictures and family are absolutely beautiful! Merry Christmas to you! ? Merry Christmas Parcell family. Rachel thank you for your lovely blog. 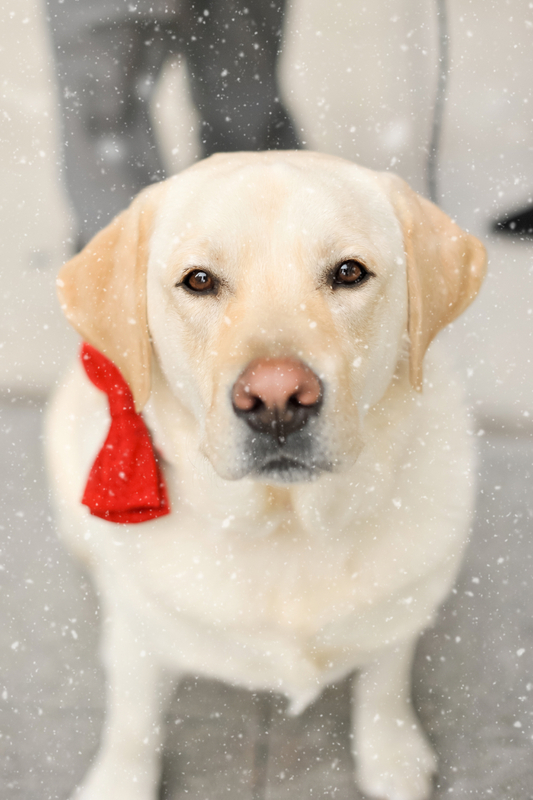 Wishing you and yours all the best this Christmas season. Thank Hope! 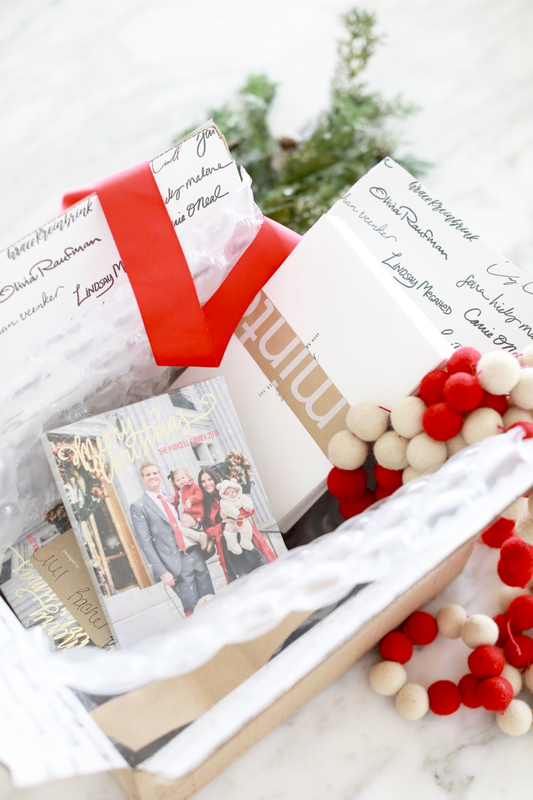 We hope you had a merry Christmas! Isla and Jackson are SO PRECIOUS! These pictures are gorgeous, Rach! Merry Christmas and Happy New Year to your family! Thank you!! Hope you had a merry Christmas!! Your family photos make me smile. Such a beautiful family! Merry Christmas! Thanks Rachel! You are so sweet! I just ❤ little Miss Isla! Beautiful pictures! Love the setting. You have a beautiful family! Happy Holidays! These photos are BEAUTIFUL!! Love the snow! Thanks Katie! That is so sweet! My kids make every picture better! Hope you had a merry Christmas. I love your pics! 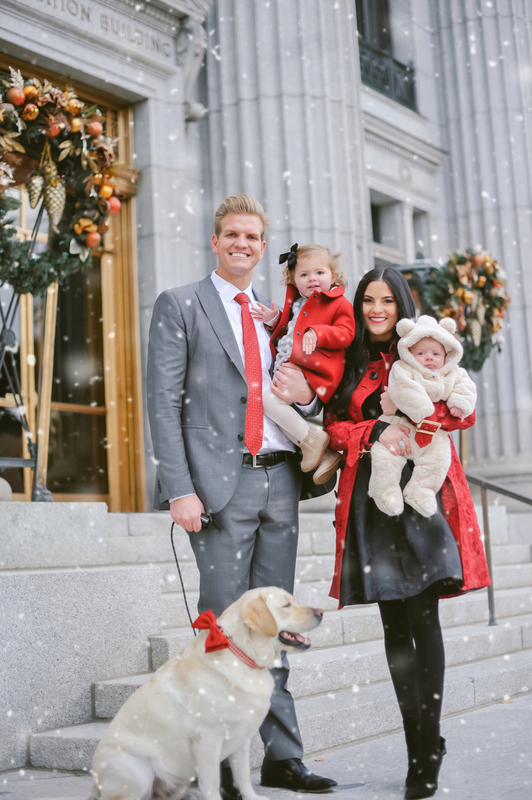 Such a beautiful family, Dasher too! 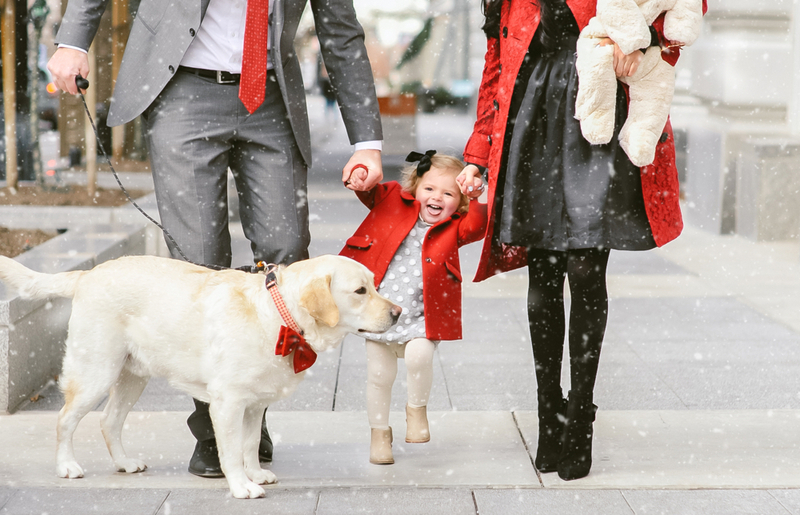 These are gorgeous photographs of your little family! 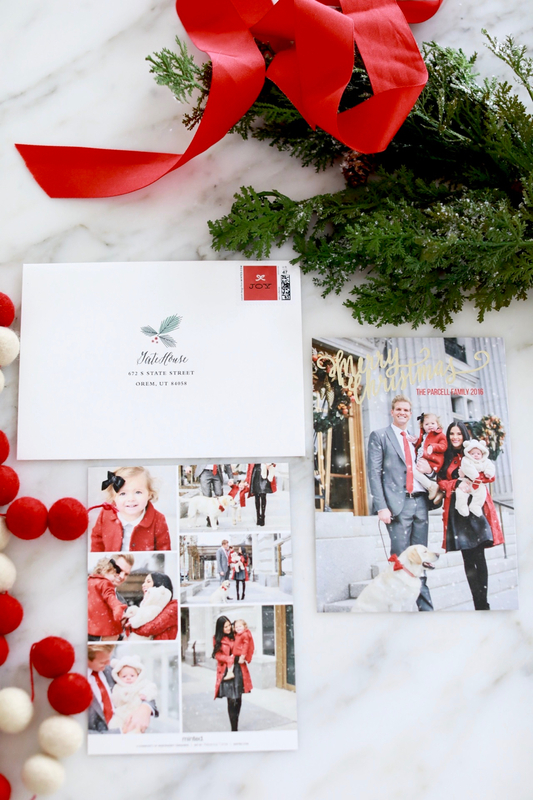 Love seeing your Christmas card pics every year!! Your family is gorgeous! Beautiful photos! Merry Christmas! Your family is just the cutest!!! I hope you all had such a great Christmas! These photos of your family are just gorgeous. Your little Isla sure knows how to smile for the camera. Thank you Holly! Seriously, she is such a ham, just loves the camera! 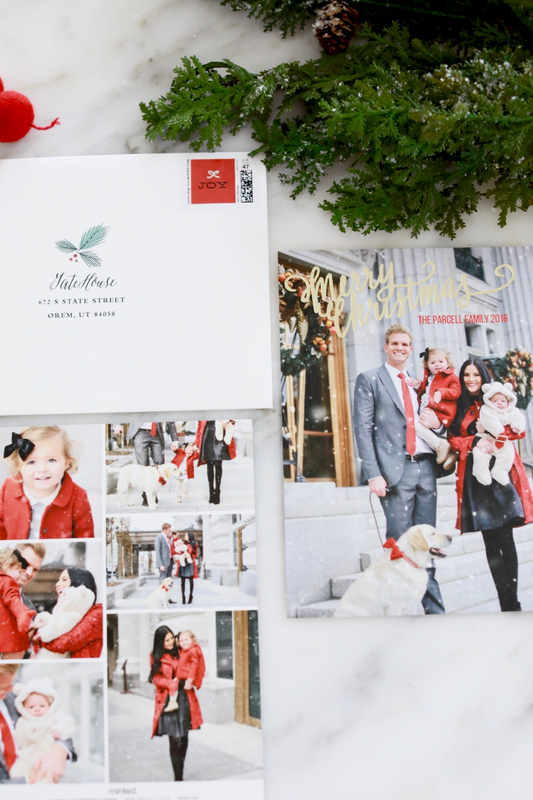 Beautiful family & photos! 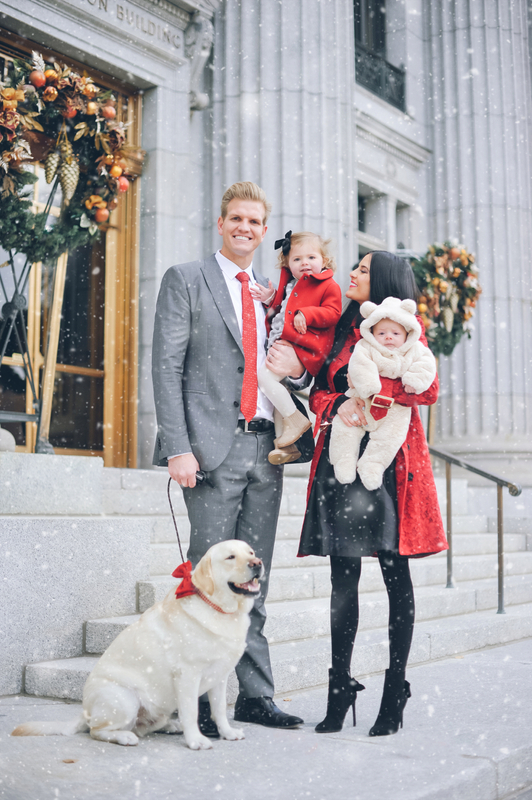 Was it really snowing, or can you add that when editing photos on minted? Either way the snow created an awesome effect! Thanks! Dash is so smart, I really think he knows exactly what’s going on! He’s definitely one of our kids! 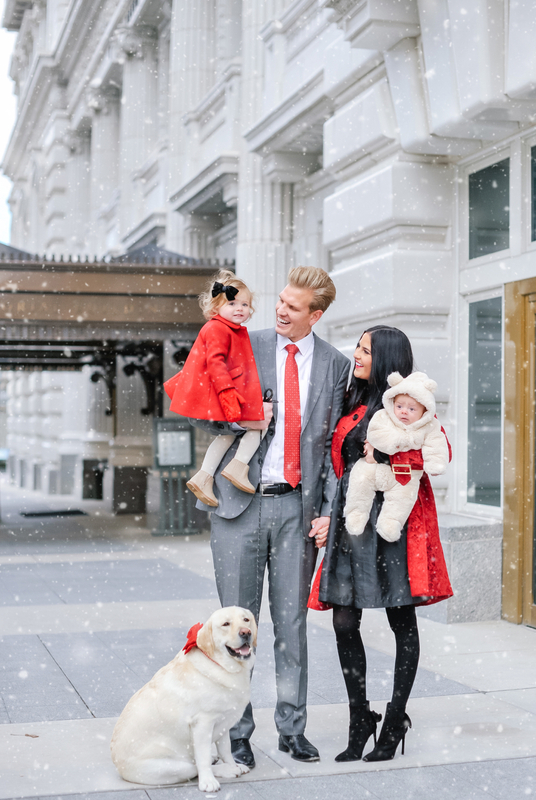 These family Christmas photos are adorable!! Most beautiful Christmas pictures I’ve ever seen!!!! The snow….incredible!!! Unfortunately Bloglovin isn’t work in’ anymore with your blog?! Maybe you could work at this? Thank you!!! And have a very happy new year!! The photos are so cute of all of you! Beautiful family. 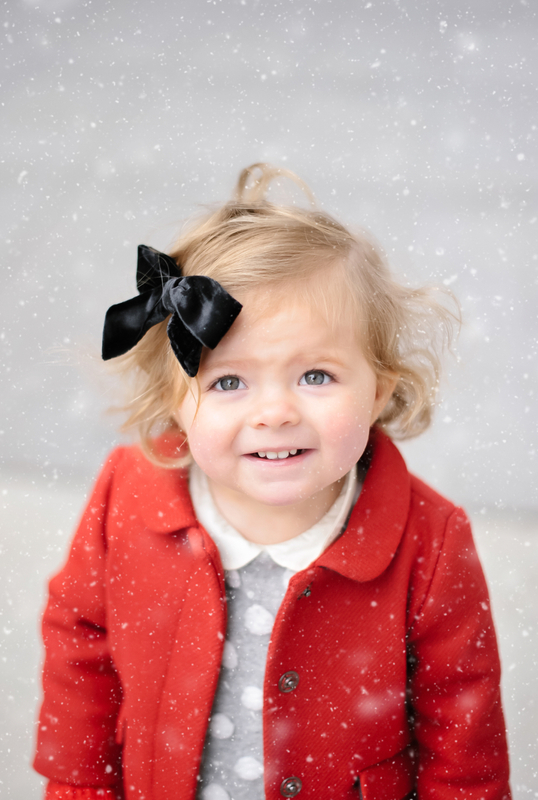 Isla Rose is too cute – her sweet face. She is a perfect combo of you & Drew. Happy & Healthy New Year! Omg, Isla makes the cutest faces ever! And Jackson looks so cute in that little bear outfit! Very cute Christmas card! These are so beautiful and sweet! I love that Dash is involved too. Happy New Year! These photographs are so beautiful and I love your red coat! LOVE the picture of your dog! !